There are so many things to see and do in Delaware County in the fall. One of my perennial favorites is a leisurely fall ride on the West Chester Railroad. 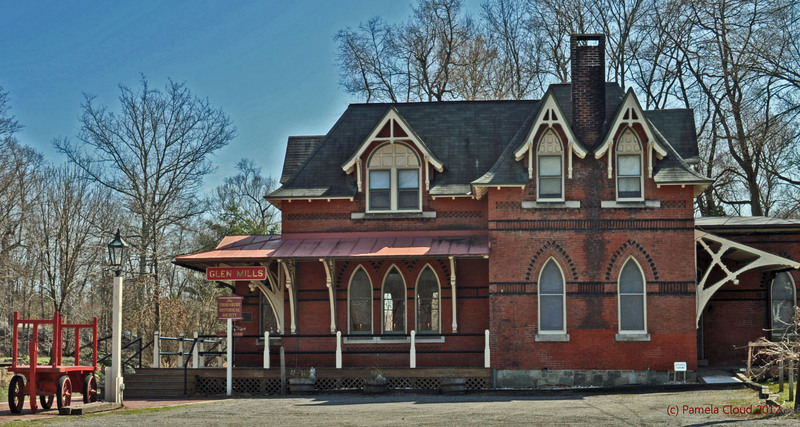 The train starts in West Chester and lasts about 90 minutes until you get to the Thornbury Historical Society in Glen Mills, a beautiful turn of the century train station attributed to architect Frank Furness. You’ll lumber along through the woods and admiring the changing leaves, passing Locksley, Westtown and arriving at the West Chester station. Once in West Chester, you’ll take a short break and head back to West Chester. Upcoming events are the Great Pumpkin Express, followed by the Fall Foliage Tour, then the Christmas Tree Train! This is a great activity for the whole family. Come out to Thornbury and check it out! Click Here for a List of Homes for Sale in Glen Mills! Call me to narrow your search! There is a home for sale near the train station!